What's the Job Outlook for Cosmetologists? What’s the Job Outlook for Cosmetologists? Cosmetology is a time-honored career that has been in demand for many decades. The term “cosmetology” means to beautify, and that is the important and fun task that cosmetologists perform each and every workday. The future for job opportunities for cosmetologists will likely encourage anyone who is on the fence about pursuing this line of work to go for it. Cosmetologists have great prospects for jobs in the coming decade. Over the next decade, the field of cosmetology is expected to grow as much as other popular professions. It’s estimated that it will grow at a rate of approximately 13 percent within the decade. However, barbers will only see a growth rate of 11 percent within that decade, which is not far below the average for general cosmetologists. This steady growth for beauty professionals, no matter what their specialty, is a good sign of the consistent need for cosmetologists. Cosmetologists help people look and feel great about themselves. 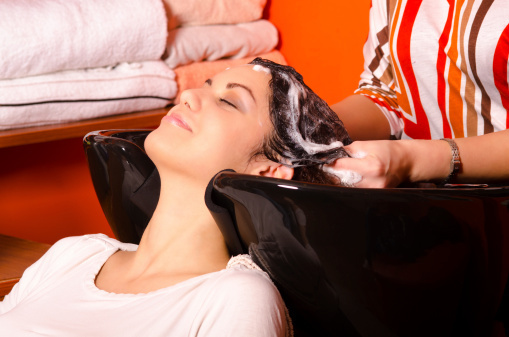 Cosmetologists who specialize in hair straightening, hair dyeing, and complex hair treatments can expect to see an even greater demand for their services over the years. Aspiring cosmetologists should take extra courses in these topics to be prepared to be most competitive when applying for jobs. Oftentimes, salons will give priority consideration to cosmetologists who will be able to provide the complex services that their clients desire. Skincare specialists should see a job growth rate of 25 percent within the next decade, which is significantly higher than the expected job growth rate on average for all other professions. Cosmetologists who want to pursue this specialty need to take specific courses and receive on-the-job training that equips them with the skills necessary to apply professional treatments to beautify and treat the skin. There are over a half a million cosmetology jobs available, and that number will continue to rise as rapidly as most other professions will grow. Nearly all workers in the field, with the exception of shampooers and assistants, need to be licensed. That requires an initial investment of time, work, and money. The payoff is that one gets a leg up into a career that is expected to grow and provide plenty of opportunities and job security over time. One of the primary reasons for the expected steady openings of new jobs within cosmetology in the coming decade is that existing cosmetologists will retire, switch occupations, or get a promotion in a similar field. Also, many new jobs are likely to be created as the demand for new cosmetologist grows along with the population. In order to stay competitive in a field that stays consistent in many ways, yet also changes with the times as emerging technologies make beauty processes faster and more convenient, it’s important to consider continuing education. In fact, in order to retain your cosmetology license in many states, you must continue to take mandatory cosmetology courses. Aspiring cosmetologists can pursue their chosen careers with the knowledge that it offers the promise of a bright future in terms of probable future earnings and a pleasant job outlook. Things are looking up. Check out our courses to get started along the path to becoming a licensed cosmetologists today.